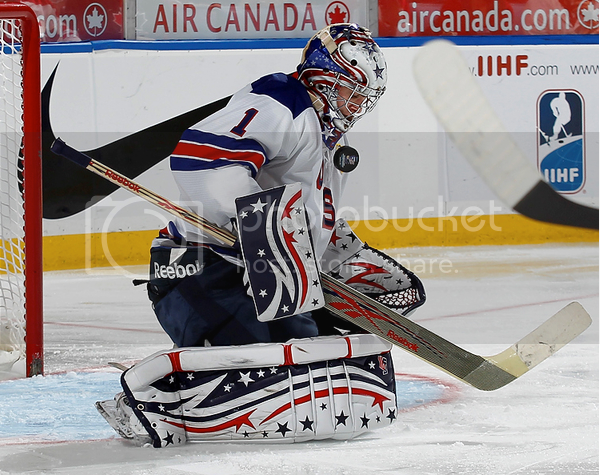 Jack Campbell back stopped the US U-20 team to a bronze medal in this year’s tournament held in Buffalo, NY. And he did so in style. 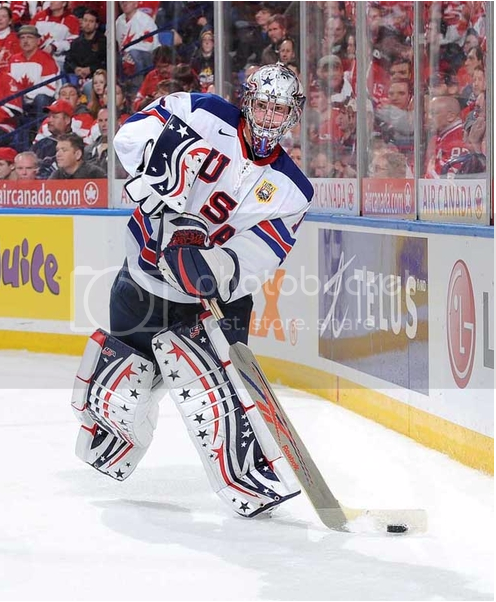 The stars and stripes motif on his legs pads blocker and glove was tastefully done. 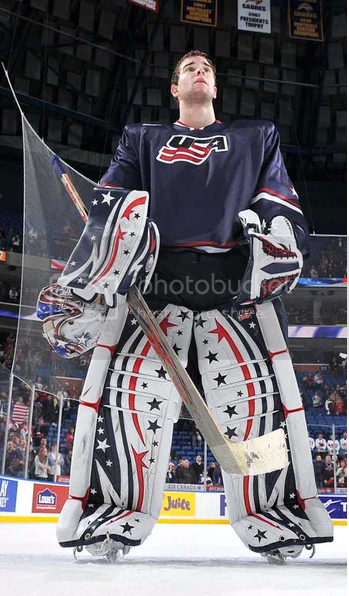 The pads give off a very patriotic feel while not being over the top or gaudy in any way. 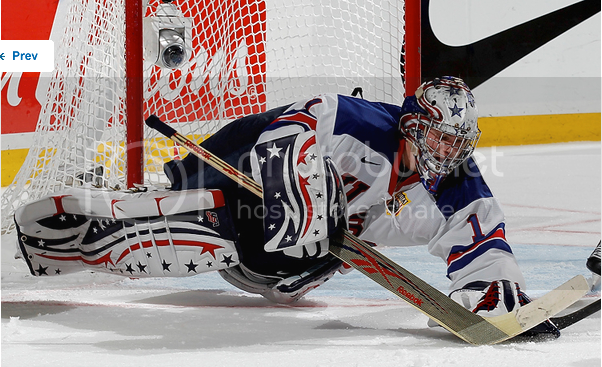 Too bad he was the only player to show up in the semi-final 4-1 loss to Canada. Add this honor to your best goaltender of the tournament award Mr. Campbell, you are now forever enshrined in The Sweet Pads Hall of Fame.